The typical liberal response to anything bad in the news is this: rush out and make a law about it, because over-legislation solves everything, and creates no new problems whatsoever. Sarcasm aside, this time, though, a big group of Republicans joined in. And they didn’t start making new laws – they started using old ones. 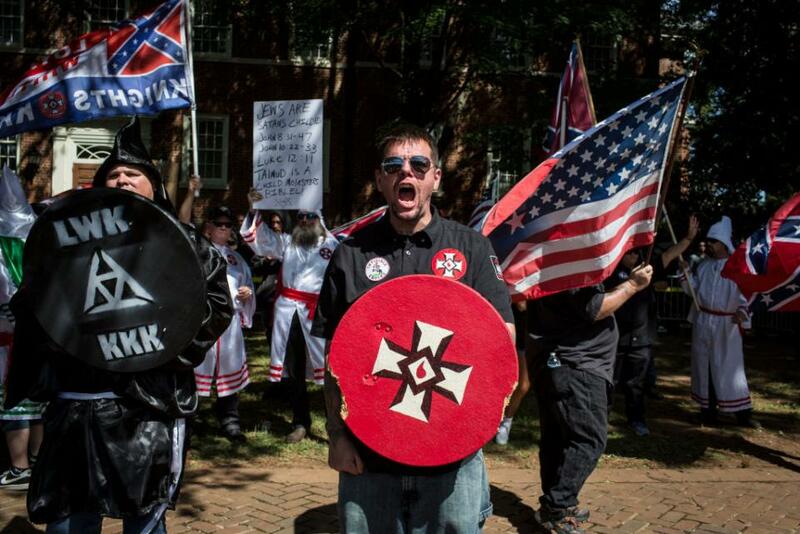 All to fix a problem that has grown increasingly relevant in the past few months, weeks, and especially days: how to classify white supremacist groups like the KKK. Fact is, we’ve called them Hate Groups for a while now. But that was before the uptick in violence, and before the death of a counter-protester in Charlottesville. Which is why the Illinois Senate is replacing an old designation with a new one. Forget Hate Groups. Now we’re going to call them Terrorist Groups. And we’re making it official. The terror attack in Charlottesville, Virginia, on Saturday has renewed the national focus on hate groups, and how to distinguish hate groups from terror organizations. Groups like the Klu Klux Klan and various neo-Nazi groups are already classified as hate groups, as they should be, but now the Illinois State Senate is taking it a step further. The Illinois Senate passed a resolution on Sunday calling on law enforcement agencies to classify neo-Nazi groups as terrorist organizations, and treat them as such. This isn’t just rearranging definitions on paper, mind you. There’s a whole lot of new legal options for dealing with these groups once you classify them as Terrorist Groups. Long story short, it’s way easier to prosecute a domestic terrorist than it is to prosecute someone who is part of a Hate Group. And the Senate has a good point – if someone driving a car into a crowd to kill people is terrorism when a Muslim does it in Britain, why isn’t it terrorism when a supremacist does it in the United States? Same action, same title. Cut and dry. And Trump’s administration has already laid the groundwork for the Illinois Senate to do this. Attorney General Jeff Sessions specially stated that the attack on Saturday, “meet(s) the definition of domestic terrorism in our statute,” which might make it easier for the United States to designate these groups as terror organizations in the future. Hats off to Illinois, and to Sessions for the groundwork. And to hell with terrorists.